New headlines and news stories about Greece’s looming economic collapse appear daily. This weekend, the National Post has a series of articles on the theme “Greece on the brink.” Some point the finger at the country’s political leadership: “The negotiation game: Greece’s debt crisis a case study in the art of brinksmanship.” Others implicate the Greek citizens who have been taken full advantage of what their entitlement state offers, such as “Robbing Greece blind” about the culture of scamming the government. Whose fault is Greece’s financial mess, and what is the way out of it? I would blame mostly the government, both Greece’s and those of the other EU member countries, the enablers of Greece ever since they allowed Greece to join the eurozone in 2001. The Greek government has been running up significant debts, full well knowing that it could not repay them, to create a socialist paradise: an entitlement state unknown elsewhere in Europe (albeit at the cost of a seven-year economic depression). Some examples from the National Post: the Greek pensioners have been receiving pensions of 96% of their pre-retirement salary—about twice as much as other Europeans. And working in one of the 600 occupations deemed high risk by the Greek government, such as a hair stylist, a wind instrument player, or a steam-bath assistant, entitles to an early retirement: women at 50 and men at 55—with a full pension. In contrast, other EU countries, such as France and Germany, are increasing the official retirement age from 65 to 67 or 68. For more examples of the government largesse in Greece, see the linked articles. Of course, the other EU governments are also culpable as they have been enablers of Greece by backing up banks that had made high-risk loans for hundreds of billions of euros. As for the Greek citizens who have happily enjoyed the government entitlements, they can be mainly blamed for the sin of evasion, for pretending—or not caring—to know where the money for their pension benefits and subsidies was coming from, except perhaps vaguely acknowledging that the EU was financing them. Was it immoral of those Greeks who voted against socialist politicians and policies to take the government perks? No, but the Greeks who enthusiastically voted for socialism are immoral and therefore, partially to blame for the current crisis of the impending economic collapse in Greece. There is, of course, a deeper reason for the Greek tragedy which explains why the Greek and the EU governments and the majority of the Greeks are acting the way they are. That reason is the virtually unquestioned moral code of self-sacrifice. This code, known as altruism, holds that the needs of others create a claim on us—and a duty to help them. If the Greek hair dressers and wind instrument players need to retire at 50, then it is the unquestioned duty of others to provide a comfortable retirement (say, 96% of their pre-retirement income) for them, and sacrifice their own retirement. Who are the others who should provide benefits to those in need of them? Other, more able members of society or the collective to which the needy belong. And if the immediate Greek society is not able to provide for the needs of their citizens, then the duty to help falls onto the broader society, the EU. Altruism is to blame for Greece’s woes. It is altruism that makes the Greeks assume that others have a duty to fulfill their needs—and others to accept such a duty. (For an explanation for how altruism has become the dominant moral code, I recommend Peter Schwartz’s excellent new book, “In defense of selfishness: Why the code of self-sacrifice is unjust and destructive”). It is altruism that the Greeks—and everyone else—must reject before a long-term solution for their current tragedy is possible. 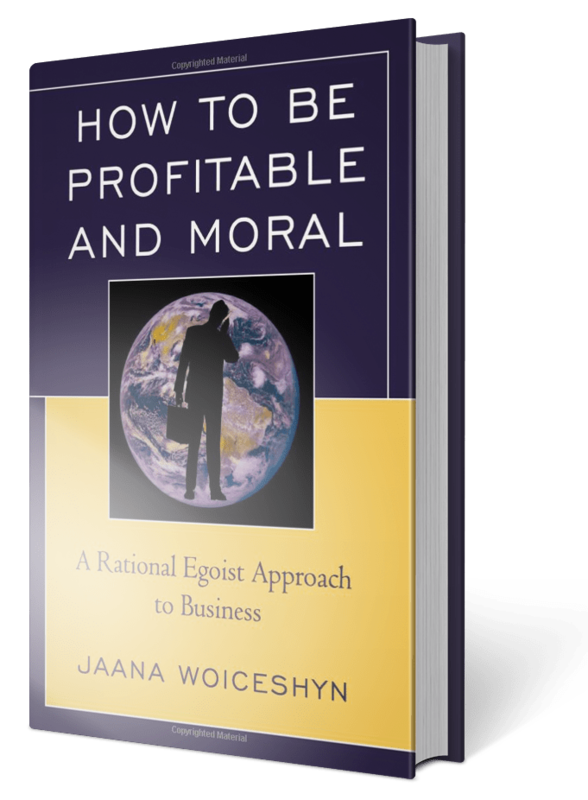 That solution rests on embracing a moral code of rational self-interest and a social system consistent with it. This means free-market capitalism where people are responsible for themselves and cannot impose duties on others to fulfill their needs. People are free to pursue their own interests and trade voluntarily (including voluntary help), as long as they don’t violate others’ individual rights, which the government protects. Only when altruism is rejected and individual rights are embraced, concrete solutions such as declaring bankruptcy, tearing up debts, returning to drachma, and ending the government’s ability to borrow money, suggested by Lawrence Solomon in an excellent column, can stick and future Greek tragedies be avoided. Previous articleWhat does it take to innovate? Next articlePragmatism is impractical—why does it rule in business?